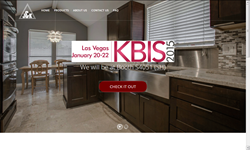 Based in Phoenix, Arizona, J&K Cabinetry has recently introduced unique kitchen cabinetry into their inventory. They are a leading designer, manufacturer, wholesaler and distributer of high quality kitchen and bath cabinets. We aim for distinction in cabinet construction, style, selection and finishes. J&K Cabinetry, reputable online store has introduced unique kitchen cabinetry into their cabinet. Made using an innovative design concept, the cabinetry can be customized depending on the demand of the space, changing trends and tastes of the customers. As a prominent kitchen and bathroom cabinet designer, manufacturer and wholesaler in Arizona, J&K Cabinetry caters to the diverse needs of homeowners. J&K Cabinetry has collaborated with a wide network of stock distributors, dealers, contractors and professional independent distributors. Thanks to the semi-custom cabinetry feature, customers can upgrade and add their unique touch to kitchen and bathrooms. J&K Cabinetry offers highly practical and stylish solutions to give a kitchen complete makeover. Whatever is the budget of the customers, the company ensures that they get superior solutions. The range of kitchen cabinets available at J&K Cabinetry is simply unmatchable – be it quality or prices. Whether a homeowner wants to give his kitchen a vintage or contemporary look, J&K Cabinetry offers whole lot of options. It includes premium kitchen collection, budget cabinets and full line of traditional framed cabinetry that includes solid wood doors, dove-tailed drawers, plywood construction and cabinetry grade under mount glides. Owing to these reasons, J&K Cabinetry remains the resource to well designed and affordably priced kitchen cabinets in Phoenix, Arizona, kitchen cabinets remodeling in Tucson, and kitchen cabinets in Glendale AZ. Phoenix, Arizona based J&K Cabinetry designs, manufactures and offers uniquely finished cabinetry at competitive prices. The manufacturer and wholesaler of distinctive and fine cabinetry for kitchen and bathrooms enables homeowners add uniqueness and elegance to their kitchens with that personal touch to create a style statement of their own. Ever since its establishment, the company has kept its focus the same, sticking to quality and achieving utmost customer satisfaction. Therefore, it never compromises with the quality of products come hell or heavy water. The company settles down nothing short of perfection and designs cabinets that not only make kitchen and bathrooms more appealing but also cater to the senses of those who have taste for something unique and different in home décor. J&K Cabinetry remains the best resource for many to find Kitchen Cabinets in Avondale.